The original Judy Clock has been a favorite of teachers and students for more than 45 years. Now, learning to tell time with Judy/Instructo is even easier and more fun! 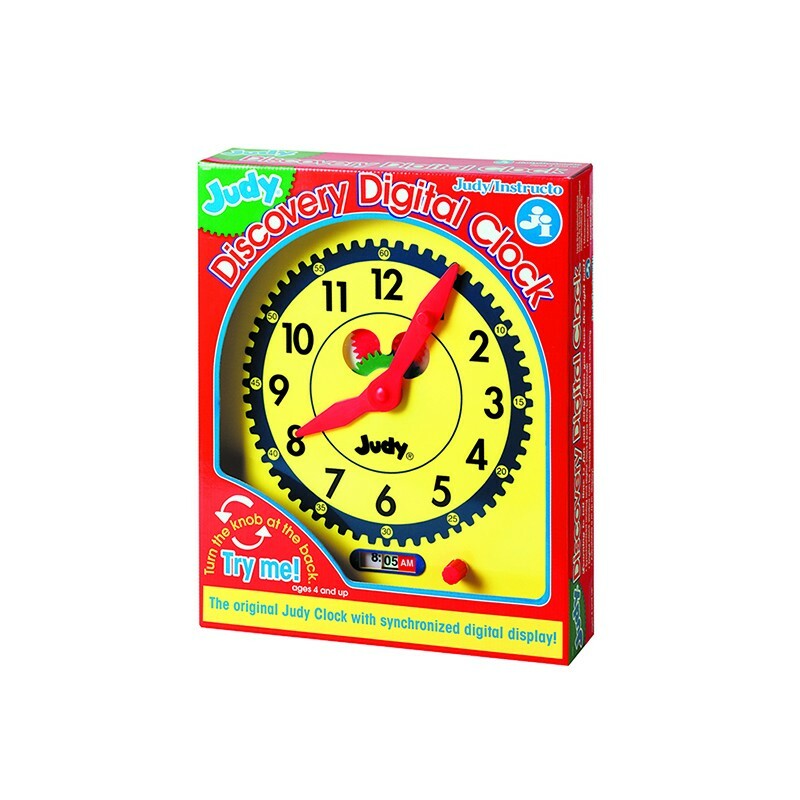 The Judy Discovery Digital Clock features our classic yellow design with visible green and red working gears. Just turn the large knob on the back of the clock and watch the gears at work, moving the big red hands on the clock face in unison with the digital clock numbers. The synchronized digital clock, with its movable window, provides the perfect self-check for children who are just learning to read analog clocks. Discover the new Judy Digital Clock!